After making my way to Malaysia I was planning to head to Indonesia. Instead I have ended up back in Bangkok (again!) 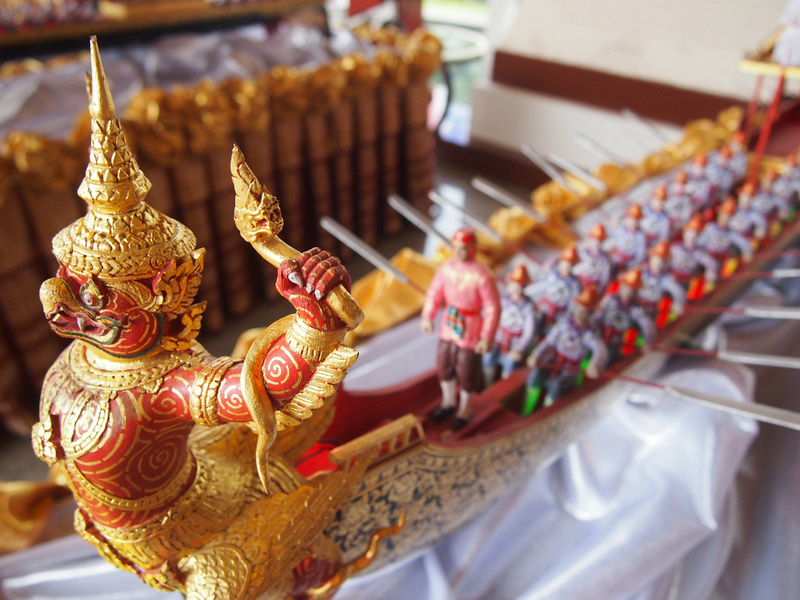 after getting an invitation to attend the Royal Barge Procession rehearsal. This event is only held every few years so I couldn’t pass up the offer. It also gave me a chance to catch up with some travel blogger friends. There are two rehearsal days before the main event and journalists/media are invited to attend to get a better position for photos as well as getting photos out before the main day. 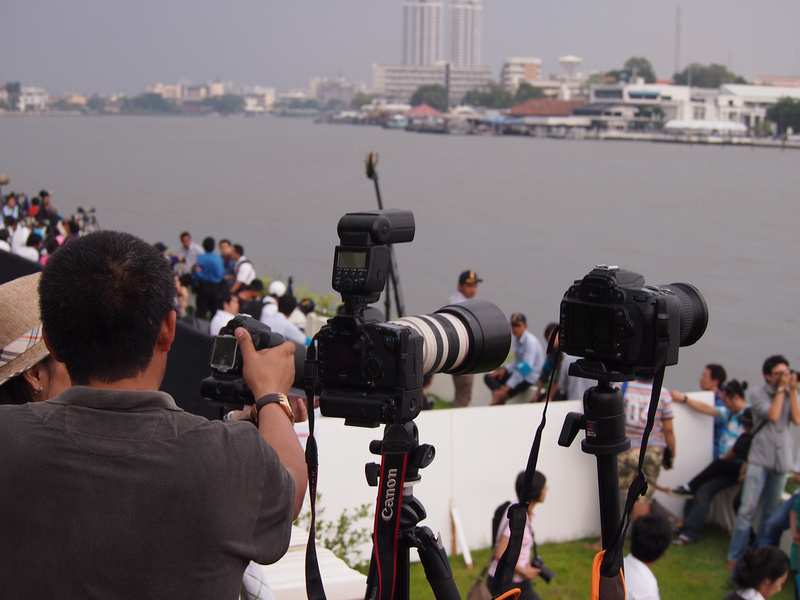 I will publish a photo post next, and if you happen to be in Bangkok on the 9th of November I would highly recommend heading down to the river to see this event. It was an interesting day out mingling with photo journalists as well. I often get asked if I would like to be guide book writer. That sounds like the hardest travel job in the world to me. I think I will add photo journalist to that list as well. At least event photo journalist. I always appreciate event photography, especially for sporting events, but I know that behind the scenes there is hours of waiting around, shooting hundreds, thousands of shots in the hope of getting that magazine cover shot or feature in a newspaper. It seems to be a competitive business as well, and we saw one skirmish break out over a prime position on the riverside. Then there is the equipment. I thought I was doing alright with a 150mm lens, but it really showed it limitations when I was surrounded with what looked like bazooka’s with a camera attached. I love photography and I am constantly trying to improve, but I will stick to photography that doesn’t require a personal sherpa to carry my equipment around. I recall this interview with Henry Rollins where he says he only uses a 16-35mm lens, which forces him to get up closer to his subject. I like that philosophy. 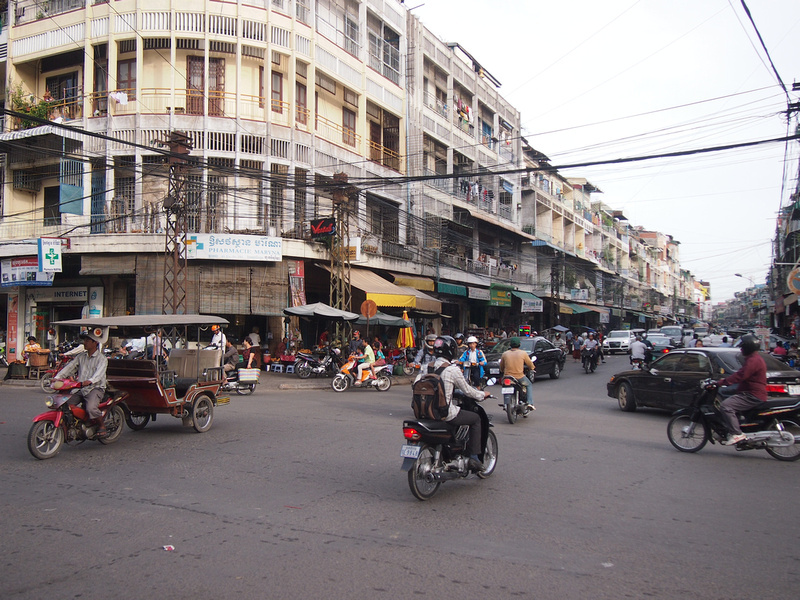 I first visited Phnom Penh in 2005 in what was my first visit to Southeast Asia and I loved it the moment I stepped out of the airport and got on the back of a motorbike taxi. I have been back to the region at least once a year ever since, to the point now that I am here for half the year. I’ve come to Cambodia to see what Phnom Penh is like as working base, and also to see some friends who are here on my way back to Vietnam. 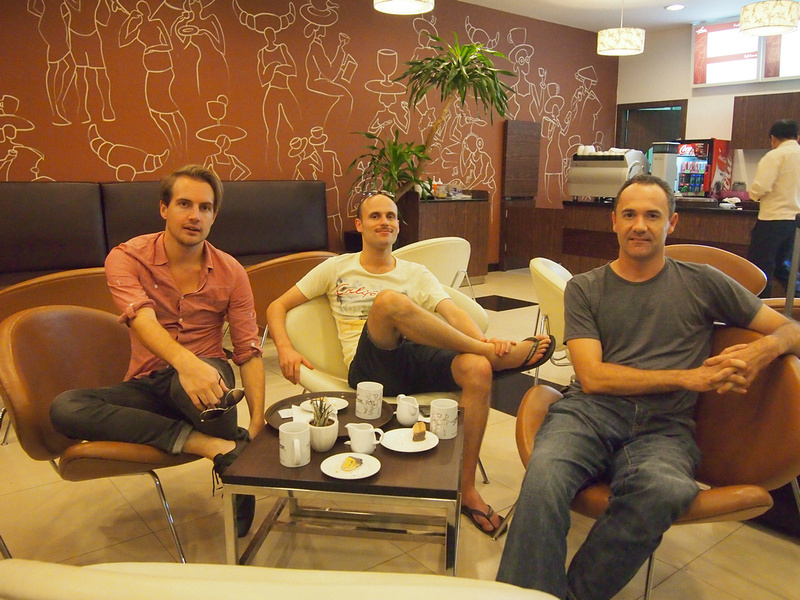 I arrived at Phnom Penh airport to be greeted by Anthony and Will. I met Anthony in Chiang Mai earlier this year, and have since been email contact with Will. 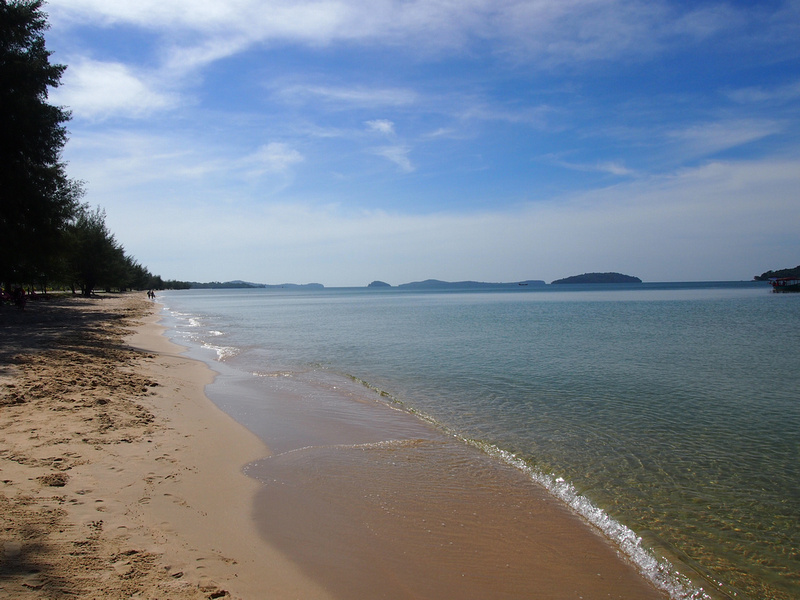 Also in Cambodia are Dave and Lauren, who have lured me down to the beach. Not that I needed much luring. This is Otres Beach. 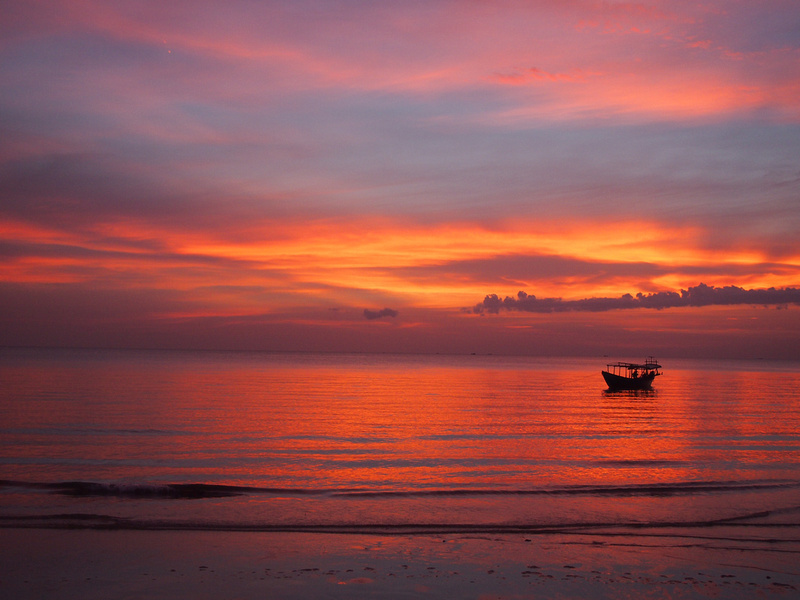 I’m stayed in a beach bungalow for $12 a night with remarkably decent internet. While working by the beach is not the best for my productivity, it’s good to be able to hit the beach for a few days while keeping the business ticking over. After spending a month in Ho Chi Minh City in September it was apparent to me that this city was a place that I want to base myself for a while. The cost of living is favourable, there are plenty of cafes with fast wifi, and at the moment there is a buzz to the city with many online entrepreneurs setting up here. I have a three month visa and I plan to be here for the duration. I’m not promising anything but I feel like I could easily spend 3 months here (with a few side trips thrown in.) Now that I think of it 3 months would be the longest I have been in one place in over 3 years, maybe longer. I have stated previously that I wanted to get into a cycle of one month on, one month off with the work/travel thing. 2012 turned out to be more travel than work, which it is not a bad thing, but I am now ready to put in a solid few months of productive work before planning my travels for 2013. So far life as a temporary Saigoner has been working out well. I arrived here with with travel friends Anthony and Will, and there are plenty more friends on the way. I have already found a room in an apartment and I’m getting to know my new neighbourhood and of course all of the great places to eat. 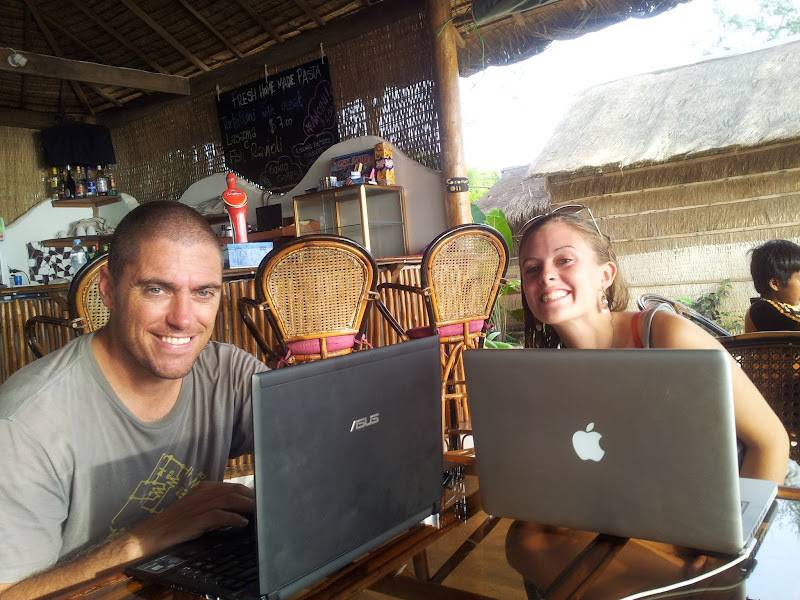 Reflections on 1,000 Days as Digital Nomads from Never Ending Voyage. Can’t find a job? Move overseas. Speaking of visiting cities for future potential working base locations, Dan from tropicalmba.com has done a great podcast on this subject: what is the best place in Southeast Asia for internet entrepreneurs? This spring roll is making me drooled, Shrimp is my favorite one , let me get my spoons and my hands ready for tasting it. Going to be headed there for the first time in 2013 and I’m crazy-excited. I’m now going to read through al your Saigon posts crazy-excitedly. Crazy how low the cost of living is and how cheap the apartments are! Seems like a good place to base yourself out of for three months. We are heading to HCM tonight and will be there until jan 3. If you’re around, would be nice to meet up! Hi Vicky, that’s great. I’m away for the New Years but I will be back on the 1st so lets catch up! I wonder if they let you make these yourself anywhere in Vietnam? 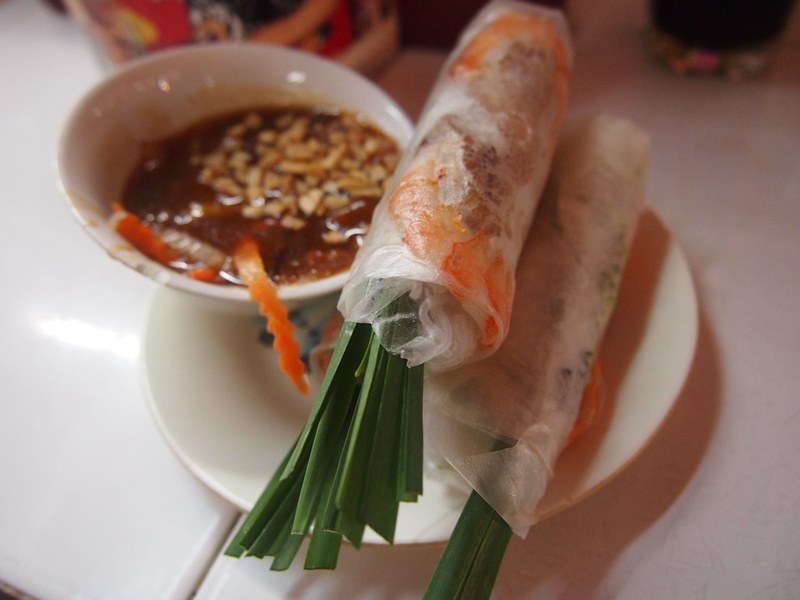 In Philly there is a restaurant in Viet Town (Washington Avenue, South Philly), where you have to make them yourself. Basically they bring a ton of ‘insides’ like, many leafy veggies, carrots, shrimp, etc, etc, etc and you have the round outsides that are hard. You dip the outsides in warm water and then wrap up whatever you want in them! 🙂 And, it’s NOT a touristy place, it’s a real Vietnamese neighborhood joint. But, when I was in HCMC last year, I didn’t see this style of eating.